The development of the Yii framework started from 2008.The purpose was simple – to develop a framework which could handle the drawbacks of the then popular framework called PRADO. PRADO had difficulties in managing a faster development speed while creating complex pages. Moreover, it was difficult to customize applications through PRADO. This is where Yii was intended to fit in – promising the developer with a not-so steep learning curve at the same time. Yii is open-source in nature and supports object-oriented programming, written with PHP 5. It is component-based and has MVC (model-view-controller) architectural pattern. It comes with solid caching support. The optimized performance of Yii is the reason for which it has seen an acceleration of its adoption rate among the developers and business owners – when compared with other PHP-frameworks. The name Yii is the abbreviation of “Yes it is”. It has established itself as the fastest framework for building large-scale applications. It is suitable for not only building any type of web applications but also help to create portals, social media sites and forums – those which are high-traffic applications. Yii can be termed as a secure, expert framework that provides influential caching assistance and serves the main purpose of operating competently with the AJAX technology. It comes with features which allow to quickly create robust projects. In this post, we will find out the 7 reasons for which Yii is chosen as a framework. For every web development team, time is an absolute necessity. The installation time must be reduced considerably, while considering any framework. Yii comes with easy installation, configuration process that is uncomplicated in nature. Ideally, no developer would like to invest enough time towards repetitive tasks. Yii is equipped with tools that can help you to spend less time on repetitive tasks. The time saved can be used towards customization of your application as per client requirements. One of these powerful, web-based code scaffolding tools is that of Yii. It is a unique code generation tool. It enables to quickly create code templates for CRUD controller actions and views, forms, models, controllers and extensions. Moreover, various command-line tools are available to create code-templates for message translations, database fixtures and database migrations for automated tests. Yii also offers flexibility in terms of the type of caching, with the help of using a common API. It is possible to register for multiple cache components simultaneously with Yii. Moreover, Yii is also supportive of file system and database caching and supports XCache, memcache, APC, DB based cache, Zend Data Cache and segment caching. Security is the most critical part of any web application. Yii has some excellent security measures in place such as Cross-site Request Forgery Prevention, Cross-site Scripting Prevention as well as Cookie Attack prevention. Yii includes client and server-side validations too. The validation rules can be enabled or disabled. Inputs such as frameworks do not require the validation rules. Moreover, there is a built-in authentication support. Finally, hierarchical role-based access control can support authorization. Yii is integrated with Codeception, a great PHP testing framework. This is one of the reasons for which interest is evoked among the developers. This is made simple by the process of creating unit, functional and acceptance tests for the applications. The Yii based applications have simple code structure and hence it becomes easy to edit or customize the applications. Moreover, a variety of widgets and extensions are available – to be used as per requirements. Yii has other advantages like architecturally clean, purely object-oriented in nature and is simple to extend. The performance of different frameworks can be judged by a parameter “Request Per Second”. This indicates the number of requests that can be processed by an application written with a framework, per second. Higher RPS is equivalent to a higher performance from the framework. 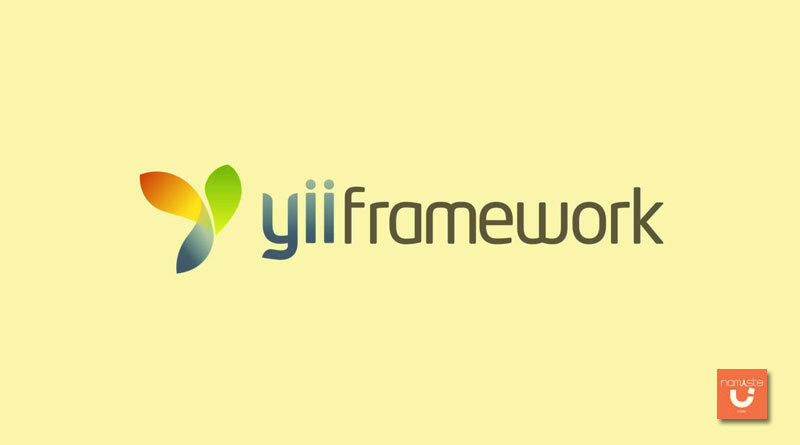 Yii shows exceptional performance in comparison with other frameworks. We conclude to say that Yii is one of those modern frameworks for web application development that enable to quickly create web applications and ensure that the applications perform well. Moreover, it comes with tools that ensure that slow websites are not created – which will ultimately create a host of disgruntled users. Finally, it helps to create highly secure and well-tested websites and handles major portion of the supporting environment by itself.